When you think of work-related bonding exercises, most of us probably cringe. Optional Organized Fun (OOF) as a concept in itself can sometimes feel a bit ‘eye rolley.’ At least this is what I initially thought before seeing how other design companies do more quick-and-dirty activities (and where we got some inspiration for our sessions). Since this was a new concept for our team a few of the visual designers started advocating for the concept, as the activities help strengthen company culture, which is important for businesses of all sizes. 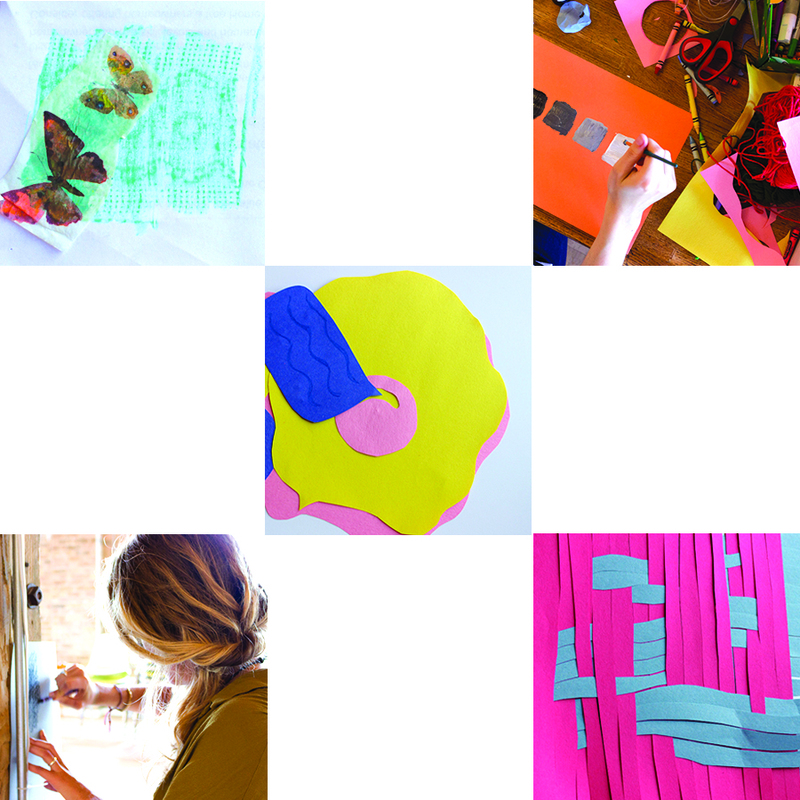 Recently in the past half-year, we have successfully integrated a monthly creative morning session. Keeping the activities low effort and not overly managed has been the key to maintaining the momentum of the sessions each month. The main purpose of these creative mornings is a way to get us off of our computers for a little bit and do something that isn’t digitally leaning or specifically for a client. An office bonding or recharge of sorts. Playing gives the analytical mind some time to take a needed break from thinking and our eyes some time away from staring at a screen, to give the opportunity to re-approach our work with a new perspective. When we first began toying around with fitting this concept into our calendars, I was most daunted by trying to think of activities to do within an hour or less time block that around 14 adults would enjoy doing early in the morning. What I found though was if you bring donuts* and just get people out of their desk, they will have a good time. And if they are not having a good time, they can drop out whenever they need to. 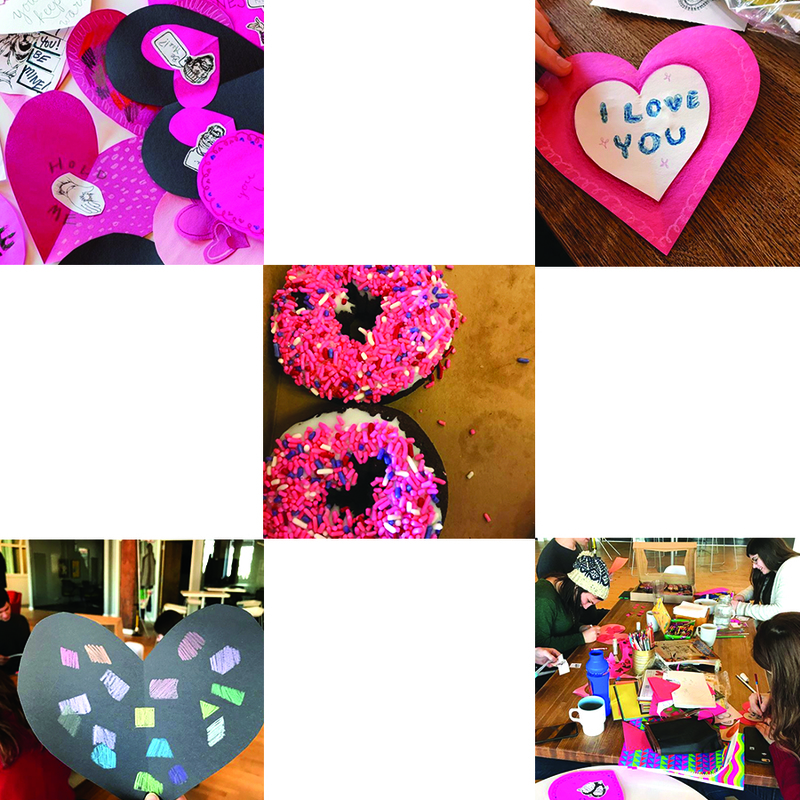 Below are a few of the different creative morning activities we have done. Feel free to use any of these ideas, and let us know of any you have done yourself that you find particularly fun! Any work appropriate holiday really is a good and easy time to do a craft. It gives you some sort of agenda and working memory to start from (most of us have made valentines cards as kids for example). And nowadays there really is a day for everything! Get a bunch of fast drying paintable clay (we used Crayola air-dry clay – not an endorsement) and let people get their hands dirty. We took it another step further and also photographed the sculptures. Our original intent with this exercise and some of the other exercises was to gather content that was inspired by our company values. This content will be used as inspiration for internal posters that will be hung in the office. This was one of the first sessions we had and it just involved the bare-bone basics – paper and doodling devices (pens, crayons, paint, markers, etc.). I initially tried to control the session by having everyone pick one piece of paper that had one of our company values on it and one piece of paper that had a doodling restriction (i.e. can only use 2 colors, use your opposite hand, etc.). I thought it would help foster creativity to have some boundaries, but in this case, it ended up being better as a “choose your own adventure” activity. Go Team! Every team needs some cheerleading once and a while. 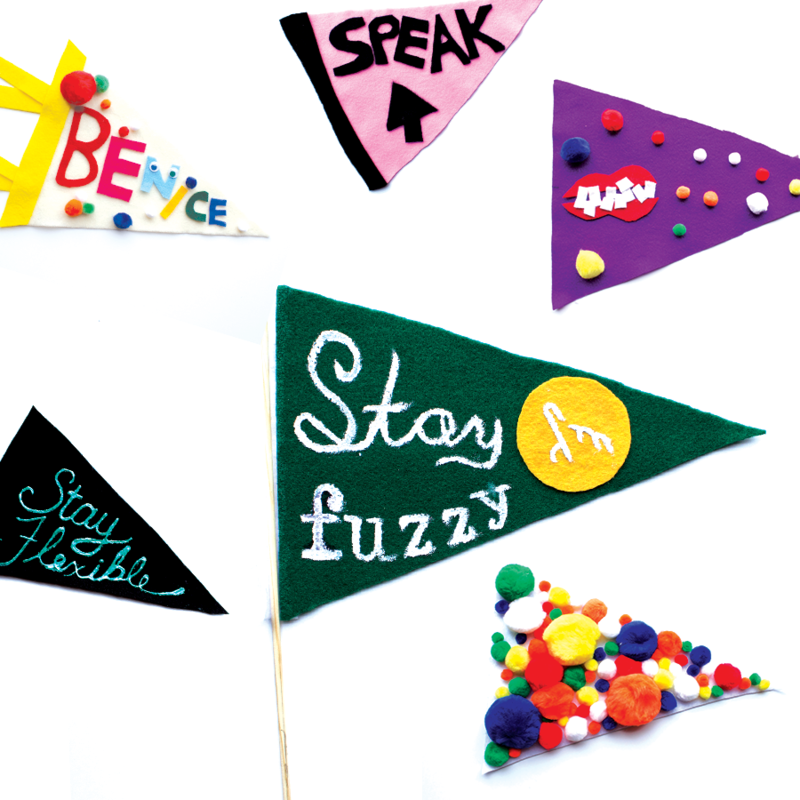 So we made flags and pennants out of felt and fabric paint that were inspired by our company values to get us in the Fuzzy Math spirit. Creativity doesn’t always have to deal or result with the tangible. This game is a Fuzzy Math favorite and is essentially a quick 3-round game that combines classics like Taboo and Charades. Here is how you play! 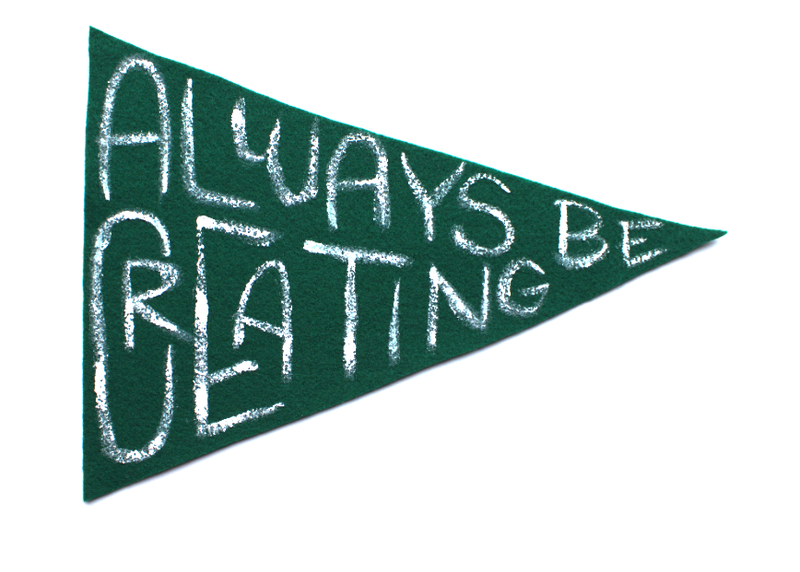 Do you have any team creative exercise ideas you have found successful? Tweet us @fuzzymath to let us know.